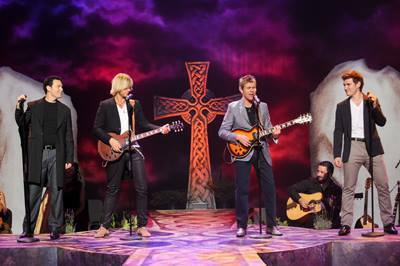 Celtic Thunder's "Mythology" is enhanced by the set – a Celtic Cross, and four standing stones, on which back-projections subtly add to the mood of each song. 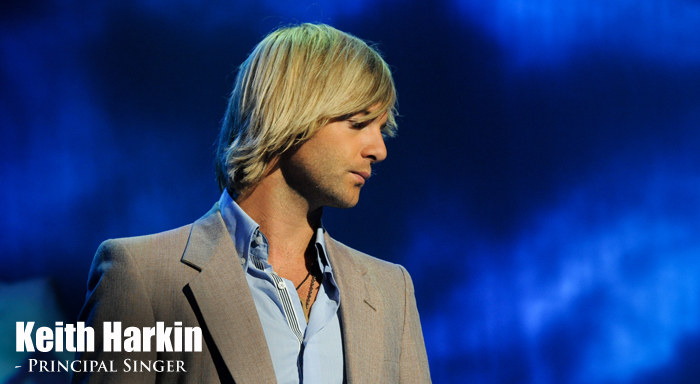 As did an absence – due to the tragic death, from a heart-attack at the age of 46, of George Donaldson, one of their lead vocalists. The opening song, Voices, sets the scene -- "Voices call from the old days, Voices tell from the past, Ancient laws and ancient old ways to recast." It was clear that many of the audience were very familiar with Neil Byrne, Ryan Kelly, Keith Harkin, Colm Keegan, and Emmet Cahill, and with their songs – a mix of familiar ballads and new songs written for the group, presented with slick stage-craft, and the technical wizardry of lights, smoke machines, and back projections that make for today's mega presentations. 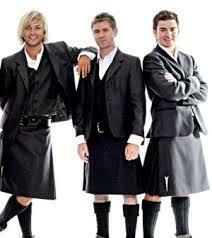 And certainly these young men had what it took to wow their audience. Rocky Road to Dublin was the perfect song to kick off the second half of the show, it's high energy bringing the audience to fast-clapping approval. The Boys are Back in Town was delightful fun, and throughout the show the musicians were superb. When, near the end, they showcased their skills with a wonderful jig, with the fiddler leaping around the stage, I rather wished we had had more of that. The Star of the County Down was a pleasure to watch, as they acted out their unsuccessful wooing of the beautiful lady. 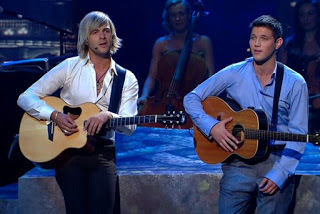 Colm Keegan (the newcomer to the group) did well, particularly when he sang and played his own piano accompaniment to Katie – yet another Irish song of unrequited love. But for me the best song of the night was his duet with Keith covering Simon and Garfunkel's Sounds of Silence – even if the audience's clapping along might have worried the original singers. 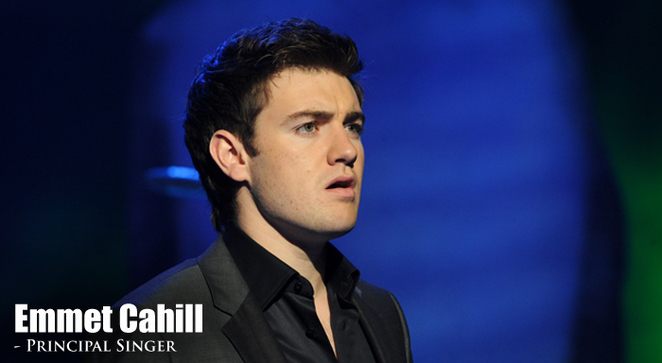 Emmett Cahill has an operatically trained voice – and it shows. His highlight was The Lake Isle of Innisfree which managed to make us forget that Yeats ended up hating that poem. His Spanish Lady was also magical. It really did not seem like two hours when they bracketed the beginning and end of the show with Voices. The audience were obviously well pleased. 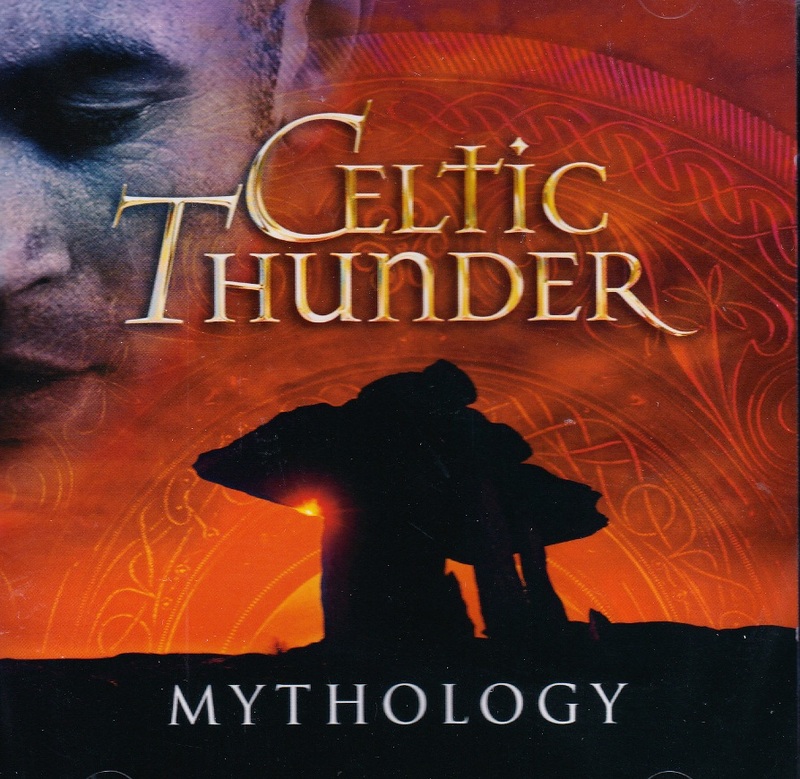 They had got what they came for – a slickly presented show, with engaging performers, presenting a mix of myth, Celtic twilight, hard rock and pop, backed by superb musicians.